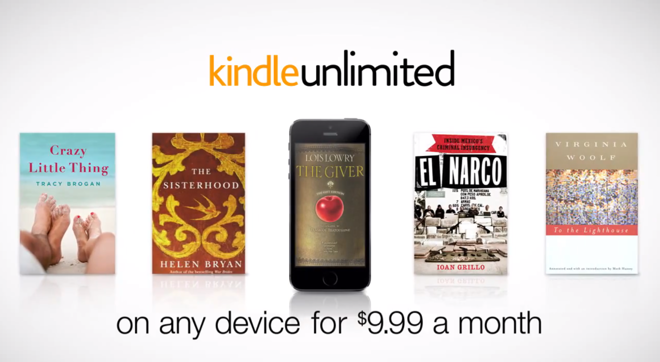 With many digital titles on Amazon's Kindle platform costing $10 or less, the new Kindle Unlimited service could be a good value for those who read at least one book per month. Not all Kindle titles are available, however, with more than 600,000 books offered, including the "Harry Potter" and "Lord of the Rings" series, the "Hunger Games" trilogy, and the "Diary of a Wimpy Kid" books. 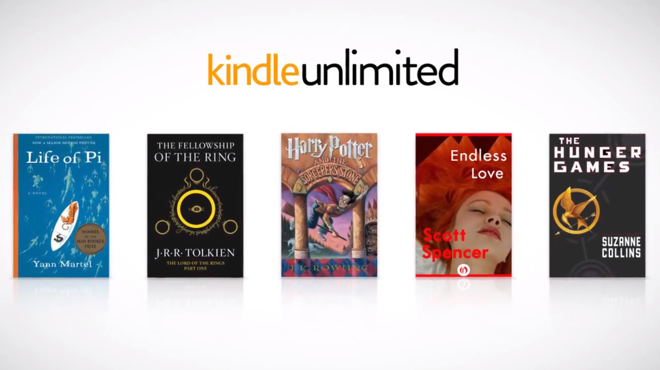 The titles available through Kindle Unlimited appear to be largely the same offered through local library rentals on Kindle hardware, as well as the "Kindle Owner's Lending Library" available to Prime subscribers. But the new $10-per-month subscription provides access to those titles on other hardware, such as Apple's iPad, and also doesn't have restrictions on borrowing periods or number of titles read per month. Also included in the offer are more than 2,000 audiobooks, covering titles like "The Handmaid's Tale," "Life of Pi," and "Capital in the Twenty-First Century." "With Kindle Unlimited, you won't have to think twice before you try a new author or genre —you can just start reading and listening," said Russ Grandinetti, senior vice president of Kindle. "In addition to offering over 600,000 eBooks, Kindle Unlimited is also by far the most cost-effective way to enjoy audiobooks and eBooks together. With thousands of Whispersync for Voice-enabled audiobooks to choose from, you can easily switch between reading and listening to a book, allowing the story to continue even when your eyes are busy. We hope you take advantage of the 30-day free trial and try it for yourself." Amazon is offering users a free 30-day trial to sample the service, and subscribers will also access a free three-month Audible membership with more than 150,000 audiobook titles available. 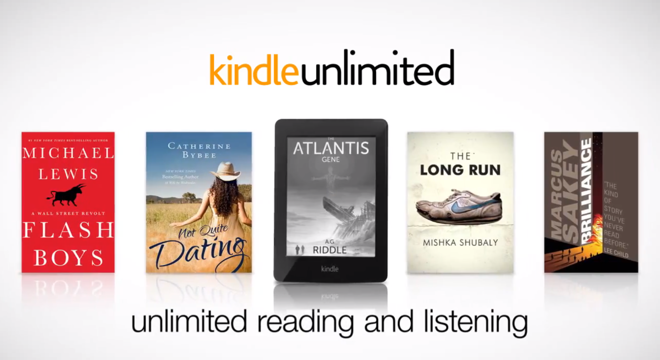 Other features of Kindle Unlimited include Kindle-exclusive books, thousands of "short reads" that are 100 pages or less, and access to popular Kindle features like Whispersync, X-ray, and Goodreads integration. While Amazon competes with Apple's iBooks, the online retailer also offers the ability to read its ebook titles on Apple devices, including iPad, iPhone and Mac. Amazon's Whispersync feature will remember the page where a reader left off, and will automatically sync that across devices, including between Kindle-branded hardware and Apple devices. With Apple's planned purchase of Beats Audio announced in May, the iPhone maker will be entering the booming on-demand subscription streaming music business. But there has been no indication thus far that Apple is interested in offering a similar model for ebooks with its iBookstore.